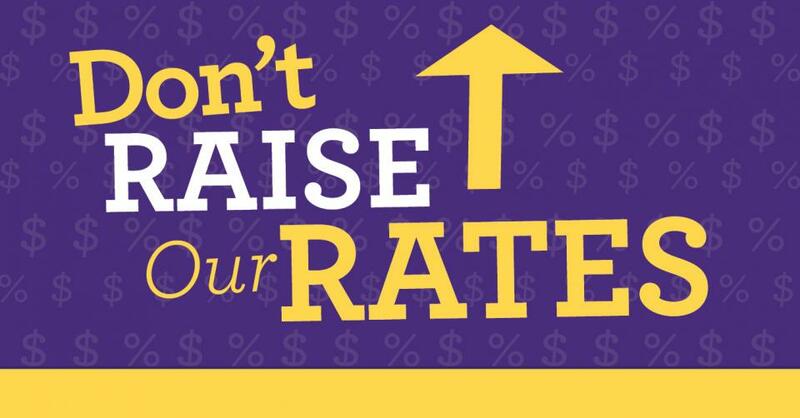 Tell health care insurance companies: Don’t Raise Our Rates! Over the past decade, our health care premiums have gone up by more than 50%, a rate much higher than the cost of living. Each year, our health care premium rates are established during negotiations between CalPERS and health care insurers like Kaiser and Blue Shield, a process which includes public discussion in May and a vote by the board in June. In 2018, our members took action to put pressure on the CEOs of these extremely profitable insurance companies to tell them, “Don’t Raise Our Rates!” Through thousands of members sharing stories, sending letters and our strong presence on the CalPERS board, we were able to reduce out-of-control health care costs with many insurers. Eight of 13 health care providers reduced their rates for 2019 and, as a result, most of the 96,000 state workers we represent enjoy reduced premium rates. We’re taking action again, and members are pressuring health care providers to stop putting profits before patients. California’s working families deserve quality, affordable health care and together, we can tell CEOs and big insurance companies to do the right thing.